I.O.I's Yoojung and Doyeon may be debuting in a new girl group. It's soon time for I.O.I to disband, which means many of the members will be left without a group. 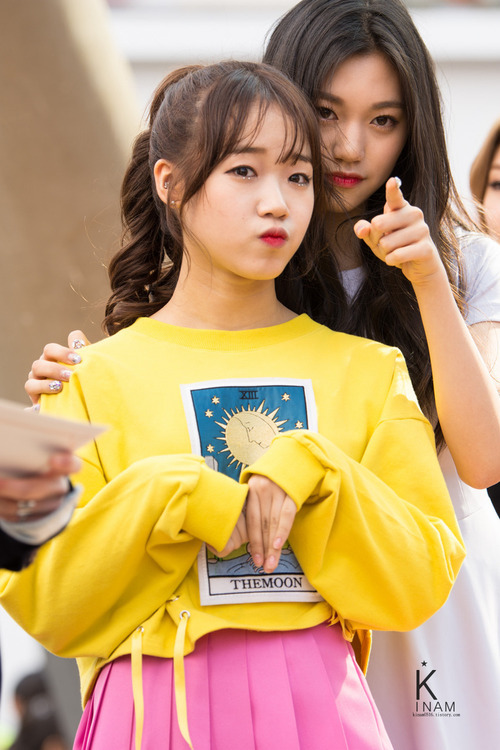 However, Yoojung and Doyeon have signed contracts with Fantagio and may be debuting in a new girl group as proper idols, not just trainees. "Choi Yoojung and Kim Doyeon have signed their exclusive contracts in the midst of their activities as I.O.I. They are now officially artists under our label," said Fantagio in a statement. In regards to a debut in a new girl group, Fantagio said: "They could debut as a part of our girl group in the early half of this year. However it is hard to confirm anything since the concept and members are not yet ready to be discussed." I.O.I has been set to disband during a concert at the end of January, 2017. However, I.O.I's sub-unit will be releasing a single this month.